On 20 May, Germany launched Operation Mercury, an airborne invasion on the island. This was the first invasion involving large numbers of airborne troops. German paratroopers and glider-borne soldiers descended upon Crete at Maleme, Retimo, and Heraklion airfields and the naval base at Suda Bay which were all situated on the northern coast of Crete. In the first 24 hours, the Germans suffered appalling casualties and captured none of their objectives. At Retimo and Heraklion the Australian and British defenders kept the invaders off the airfields. But at Maleme, a mistaken withdrawal of a New Zealand battalion on the night of the 20th was exploited the next day by the Germans who captured the airfield and were able to bring in the reinforcements they needed to defeat the allies. 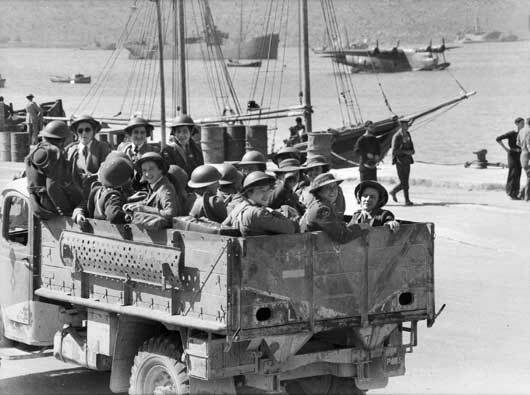 On 27 May, the decision to withdraw from Crete was made and the defending troops made their way to the south coast. About half the British force, including 3000 Australians, were evacuated by the Royal Navy which had played an important role from the opening of the battle. Three British cruisers and six destroyers were lost in the Battle for Crete including HMS Kashmir among whose survivors was Ordinary Seaman Ian Rhodes, RAN, the highest decorated Australian seaman and only Australian recipient of the naval Conspicuous Gallantry Medal. Australian casualties on Crete were 274 killed, 507 wounded and 3,102 taken prisoner. Part of an Australian and NZ hospital arrives safely in Crete, following evacuation from Greece (AWM 007614). 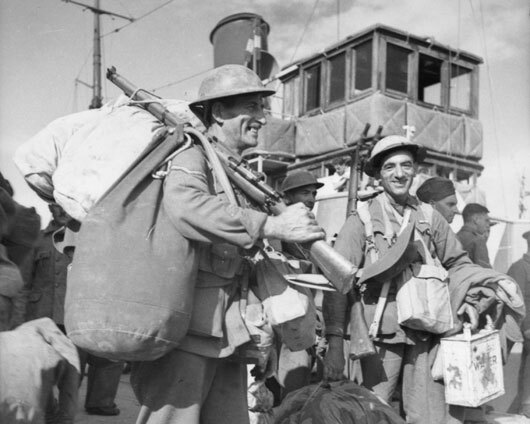 Lance Corporal R. Willots arriving in Crete following the evacuation of Allied forces from the Greek mainland (AWM 007805). 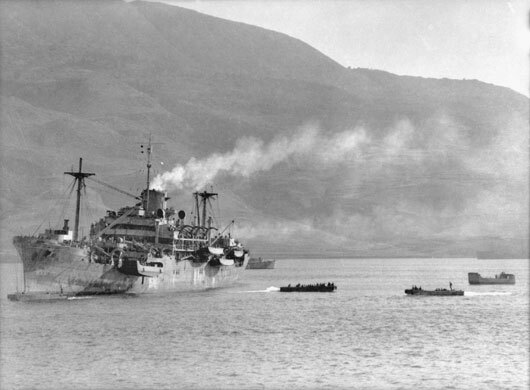 Transport vessels arriving at Suda Bay following the evacuation of Greece (AWM 007810). 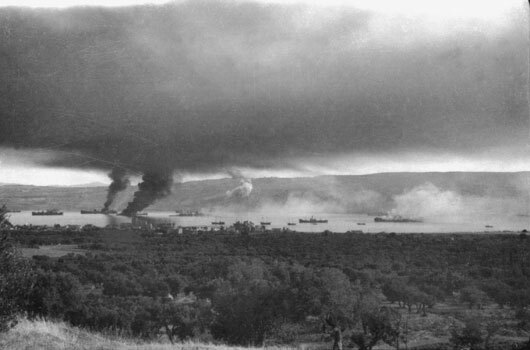 Suda Bay, where many of the Anzac troops were landed was the target of heavy bombing by German forces (AWM 007845). 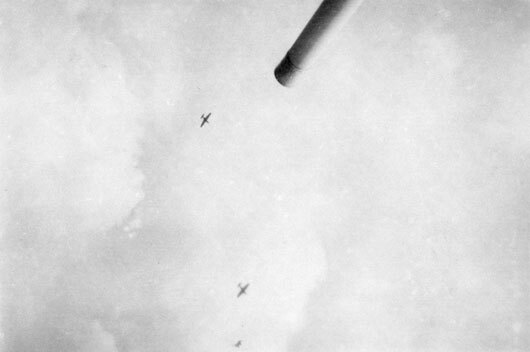 A German Stuka aircraft, high above one of the guns of HMAS Perth, off the coast of Crete (AWM P01345.014). 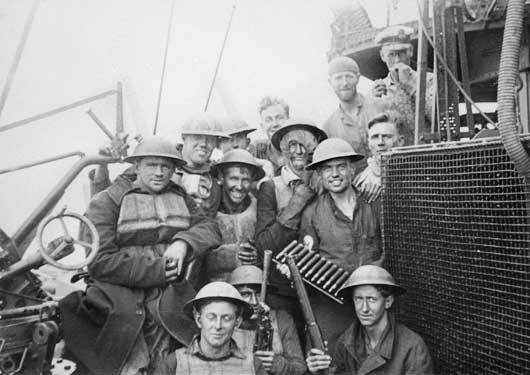 A Breda gun crew of HMAS Perth after a full day fighting off German fighter aircraft in the evacuation from Greece (AWM P01345.016). 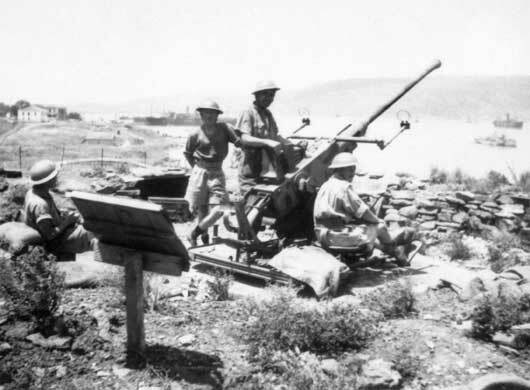 The crew of a 40mm Bofors anti-aircraft gun awaiting the next German aerial attack from a position overlooking Suda Bay (AWM P02053.013). 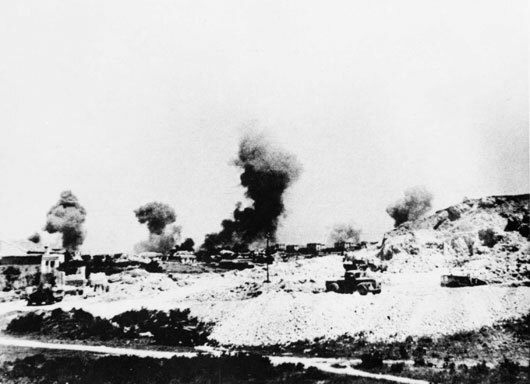 Smoke and dust rising into the air during the German bombing of Heraklion (AWM PO2433.007).